Android Thoughts: What Features do Android Honeycomb 3.1 and Ice Cream Sandwich bring to the Table? What Features do Android Honeycomb 3.1 and Ice Cream Sandwich bring to the Table? "Google's upcoming Android 3.1 is coming for tablets, of course, but it's also improving Google TV's interface. Even better, Google TV gets the Android Market as well." "The Ice Cream Sandwich release, on the other hand, doesn't have a release date, but will put all of Honeycomb's new features into phones. One new feature is facial detection with the camera, so video chat will automatically focus on the speaker who's talking (if there are multiple ones)"
This week at the Google IO conference two significant new versions of Android have been officially announced. One is Android 3.1, the next version of the tablet optimized Honeycomb OS, and the other is Ice Cream Sandwich, which has no version number right now but is expected to be something like 3.5 or 4.0. Android Honeycomb 3.1 is rolling out now to Verizon 3G Xoom tablets and will be available for WiFi Xooms in the coming weeks - though we don't know exactly when. Honeycomb 3.1 adds re-sizable widgets, a re-written multitasking and task switching engine, USB host support, USB input device support, and support for the hardware graphics acceleration of Flash content available to tablets in Flash 10.2 which is available in the Market now. Version 3.1 will also bring more features, including the Android Market, to Google TV devices. 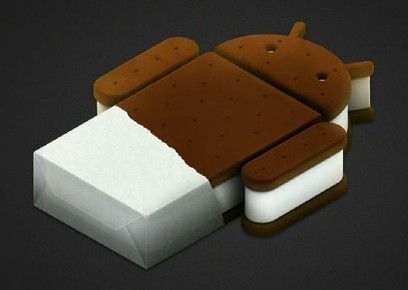 While we don't know much about Ice Cream Sandwich we do know that its main goal, or at least one of them. It is to combine the two forks of Android, the one for phones and the one for tablets, into a single OS that provides different display optimizations depending on the device display size. This should make things easier on developers and hopefully combine the best of both worlds in a way that makes each better than it is on its own.